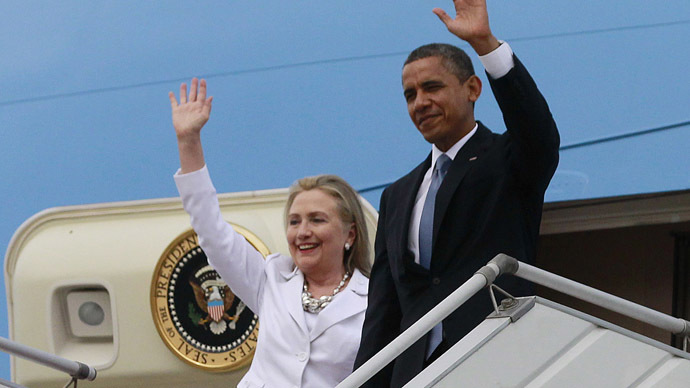 US President Barack Obama said that Hillary Clinton would make an “excellent president,” making the comment just a day before Clinton is expected to announce her candidacy. Clinton is expected to announce her presidential bid via social media Sunday, according to reports. In doing so, Clinton, widely seen as the frontrunner for the Democrats’ nomination, will become the party’s first candidate to declare their bid for the White House in 2016. Meanwhile, scandals of the past will also likely surround Clinton’s possible campaign, including the use of her private email account and server as Secretary of State, security decisions prior to the Benghazi attacks, the leak of secret cables, questions over the Clinton Foundation’s donors and others. So far, two Republican candidates have officially entered the 2016 presidential race — Senator Ted Cruz (R-Texas) and Senator Rand Paul (R-Kentucky).